The first two Civil Service Live events of 2016, in Glasgow and Sheffield, have set a terrific standard for the others to follow. 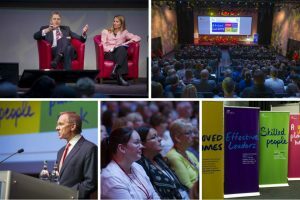 Nearly 4,000 delegates have attended CS Live to date, and the remaining events, in Coventry (29 June), Cardiff (5 July) and London (12 and 13 July), are set to be equally well supported. The whole event is built around a vision for 'A Brilliant Civil Service' and what this means for civil servants. And there are still spaces left on some sessions you can register for - including some on the four themes underpinning the new vision: Improved outcomes; Effective leadership; Skilled people; A great place to work. See what sessions (below) appeal to you - it's first-come, first-served. And don't forget, if you're looking for one-to-one advice on any aspect of your career and personal or professional development, you can sign-up for spot mentoring on the day! 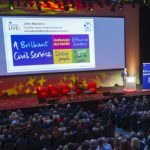 If you have already registered for Civil Service Live and want to attend any of these sessions, click here, select the appropriate venue, log in, using your email address, and add new sessions to your agenda. If you have not yet registered, click here.